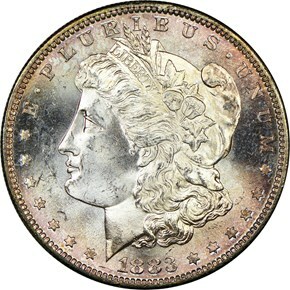 The 1883-S Morgan dollar is an issue that is usually well struck and high quality. However, the coins picked up many bag marks and abrasions due to years of improper storage in bags at the Treasury Department. Due to these abrasions, examples of this date are quite rare in the higher levels of mint state. In fact, most mint state examples tend to be around the MS62-63 range. 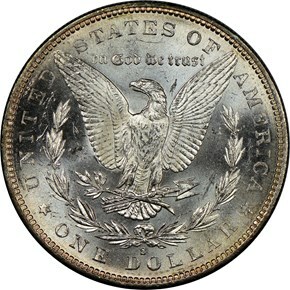 This count becomes a major rarity in gem or higher.